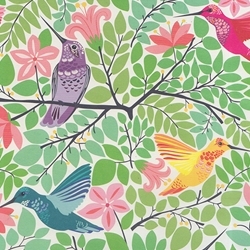 Beautifully colored hummingbirds Perfect for gift wrap or use as wall art to add instant charm to any room. Sheets measure 19x26 inches. Printed on 100% recycled, 30% PCW paper. Made and designed in the USA.